Each year, dancing dragons, explosions of colour and the crackle of fireworks fill the streets of Melbourne to mark the beginning of the new lunar new year. The Chinese New Year Melbourne Festival envelopes the Melbourne CBD with colourful events spanning across Melbourne Museum, to the Melbourne Town Hall to Victoria Harbour in the Docklands. 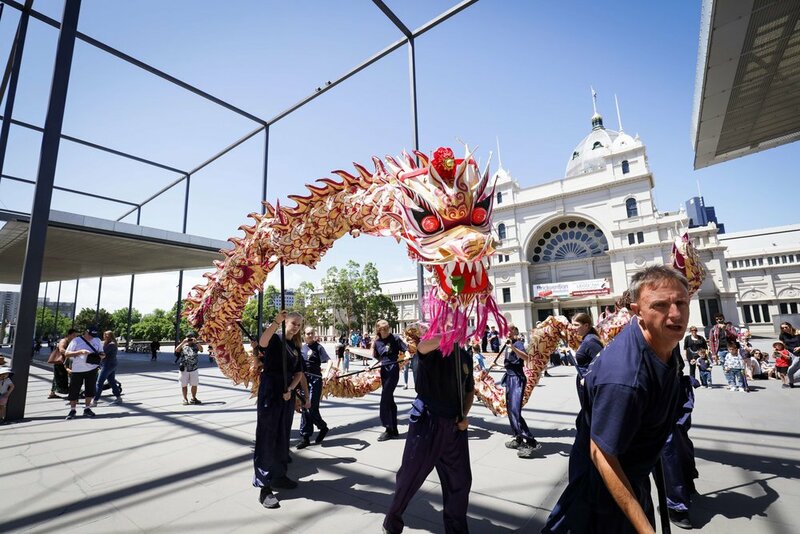 Presented by principal partner, The City of Melbourne, a true celebration of Chinese food, language and culture that is embraced by visitors locals alike. Progressive PR & Communications have worked with the Chinese New Year Melbourne Festival for the past three years, providing significant media outcomes through the development of a comprehensive national media relations strategy, the production of high-quality media materials and the development of the festival program. Here at Progressive, we thrive when presented with dynamic and complex problems, making large events such as the Chinese New Year Melbourne Festival a piece of moon-cake.